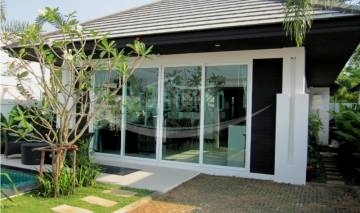 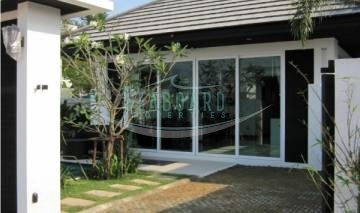 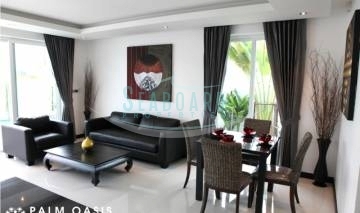 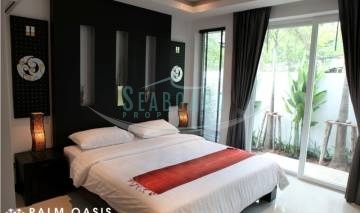 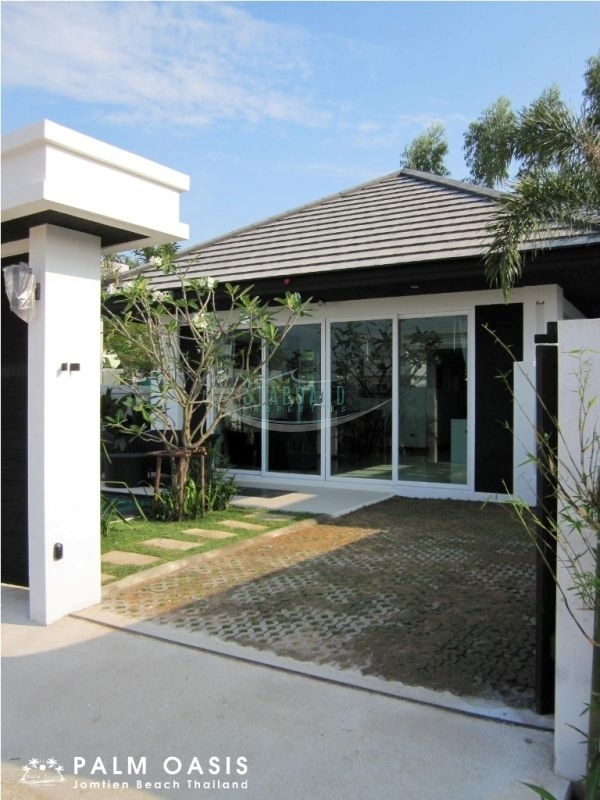 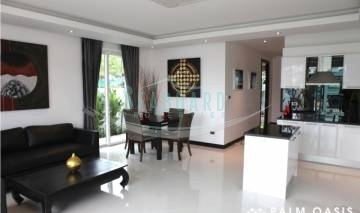 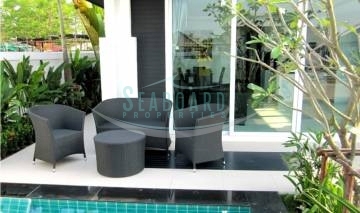 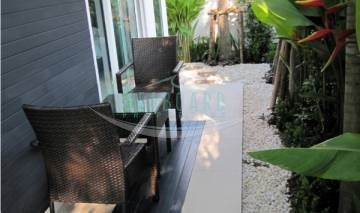 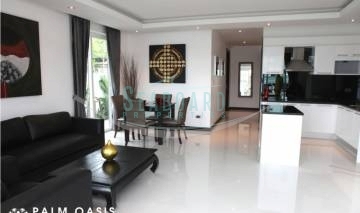 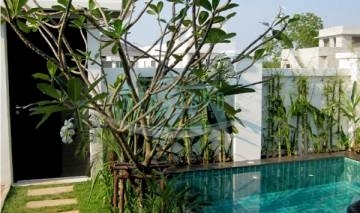 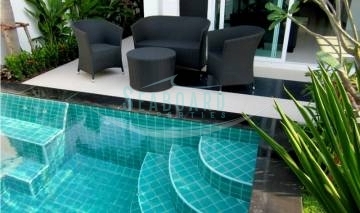 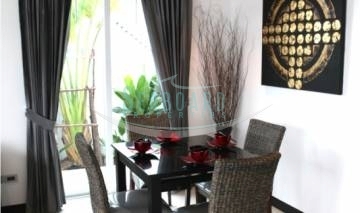 This modern two bedroom pool house is located in a quiet estate, just off the Jomtien second road. 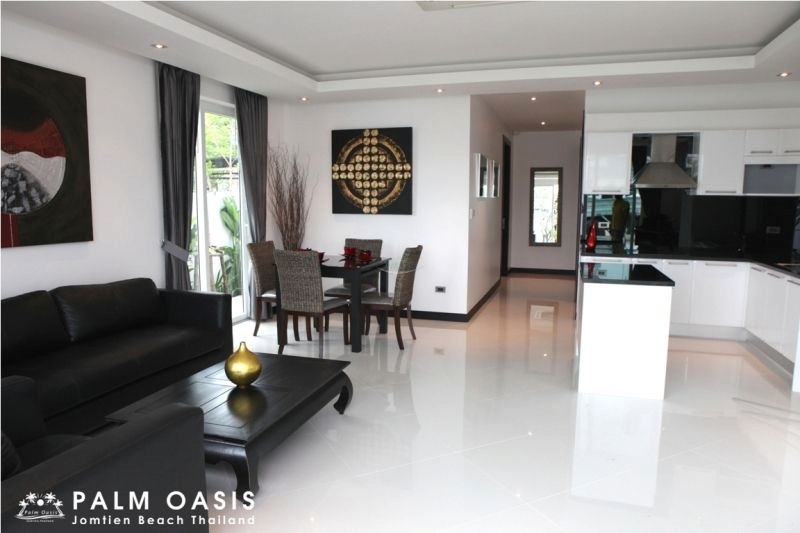 Only five minutes drive to the popular Jomtien Beach with local amenities, restaurants, shopping complexes located close by. 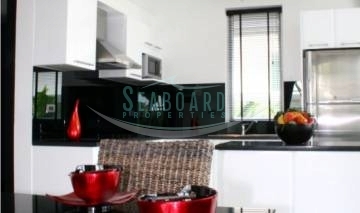 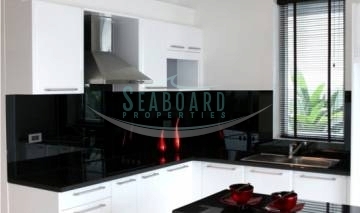 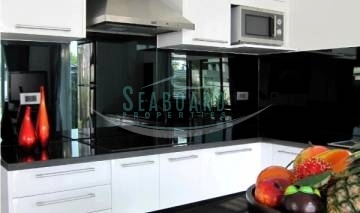 Fitted to a high, modern standard this home is offered fully furnished and features island style Western kitchen and full air conditioning. 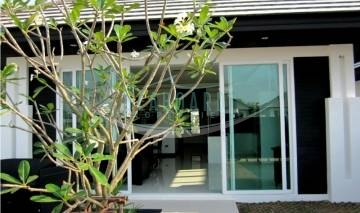 Both bedrooms are en-suite and comes with built-in wardrobes.